UkraineWorld continues its focus on Russia’s attempts this year to return to the Parliamentary Assembly of the Council of Europe (PACE). Moscow is trying achieve this without making any steps to reverse the annexation of Crimea and end the war in Eastern Ukraine, as demanded by PACE. 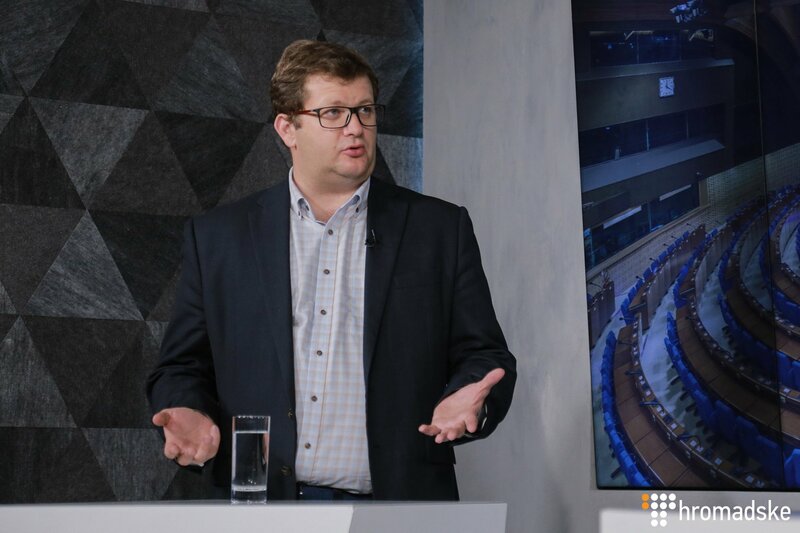 UkraineWorld’s editor in chief, Volodymyr Yermolenko - also a host at Hromadske.ua (independent Ukrainian TV and online platform) - talked to Volodymyr Aryev, a Ukrainian MP and head of Ukraine’s delegation to PACE. The full version (in Ukrainian) of the interview is available on the website Hromadske.ua (https://hromadske.ua/posts/interv-yu-ar-ev). Here we give an English summary of Aryev’s main remarks. Russia is trying to solve a political conflict by technical means. It decided to stop paying its contributions to the Council of Europe's budget, which account for 7 percent of the organization's overall budget. Henceforth, it has said that it will renew its financial contributions only on the condition that PACE fully restores its delegation's rights. Russia's message is as follows: get rid of all mechanisms which make it possible to impose sanctions from the PACE's rules of procedure. So now the leadership of the Council of Europe, as well as that of PACE, are thinking about ways to have contributions renewed instead of demanding that Russia comply with PACE requirements. This can be compared to a situation in which an accused, in order to cease being a criminal, demands the exclusion of an article from the Criminal Code instead of defending himself in court. If there is an attempt to solve this political problem by technical means it will mean that the Council of Europe is trying to violate its own principles and its own resolution. They say that something needs to be done. Thorbjørn Jagland (Council of Europe's Secretary General – UkraineWorld) says that otherwise Russia will need to be excluded from the Council of Europe. There are many of those who think that in that case 140 million Russians will have no access to the European Court of Human Rights. This is a manipulation because a consensus is needed to exclude Russia from the Council of Europe. I don't think that, for instance, Armenia or Serbia will vote in favor of such exclusion. One of the major arguments (of Russia's advocates) is that there needs to be a dialogue with Russia. My counterargument is the following: Russia has created the obstacle to dialogue. It left PACE itself and did not want to work under restrictions imposed. On the other hand, there is a similar dialogue between parliamentary delegations in the OSCE Parliamentary Assembly. But has this dialogue produced any result? Is there any development? There is none. Hence we can see the "effectiveness" of the dialogue. If Russia wanted to negotiate it would not deliver ultimatums that so many people do not like. Russia wants to make the Council of Europe a testing ground for its strategy of splitting European unity and challenging European principles. If Russia succeeds in the Council of Europe, this approach will then be used in the European Union, etc., especially given the rise of populists in Europe. Hence, if Russia's strategy proves successful, it will become destructive to the entire European community. We have clearly stipulated in the resolution signed by five parliamentary factions as well as non-affiliated MPs that in the worst-case scenario we would be ready for a comprehensive revision of our relations with PACE.